Most of the web hosting providers offer cPanel software with their shared, VPS, reseller and dedicated hosting account. The cPanel is a single management console that helps users to access their web files, manage domain, FTP accounts and others related to their web hosting plan. The cPanel Software includes an addon called Fantastico De Luxe that helps users to install, web scripts very easily. WordPress, phpBB, Coppermine Photo Gallery and many other free web applications and software can be installed in the web space using the Fantastico auto-installer. The manual installation of these scripts is a very long process and most of the time it’s difficult for newcomers. In this article, we will show how you can install WordPress in cPanel using Fantastico. The first step is to find out Fantastico addon from your web hosting cPanel. In most of the cases, it’s placed at the bottom section. If you don’t have Fantastico in your cPanel, then you can install WordPress using the manual method given here. After opening Fantastico, from the left side, select WordPress. Now click on new installation. The screenshot given below is filled with a sample data. 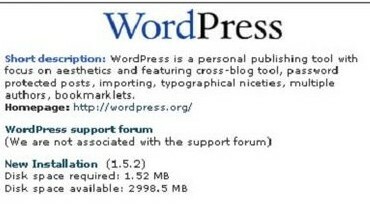 Click on the drop-down box to add the domain where WordPress is to be installed. 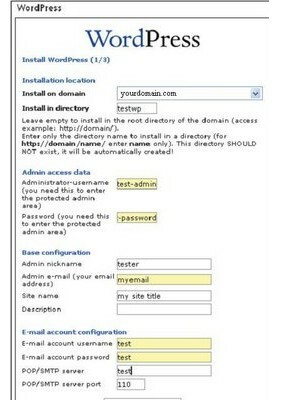 Leave the second box free if you want to install WordPress on top level domain. 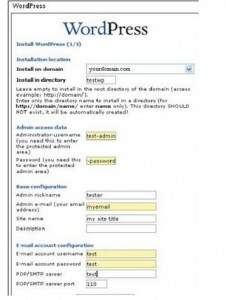 If you enter blog in that box, a new sub-domain will be created and WordPress will be installed on yourdomain.com/blog. Fill-up the other boxes with required details. 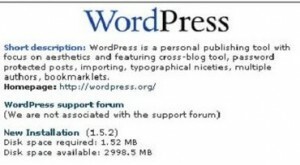 The blog title, description and password can be changed later on WordPress dashboard. Now click on proceed to complete WordPress installation in cPanel using Fantastico. You will be asked to enter an email address, at the exit page to send the login credentials for future use.